NOTE: The following conversation was originally posted on October 17, 2012. To read the original post and comments, please click here. Joie: Ok, ok. I get your point! There are a lot of short films and a whole lot of emotions. And it’s a Pepsi commercial, for Pete’s sake. But it evokes so many different emotions. Joie: Oh, I couldn’t agree with you more on that, Willa. I just love that commercial. I only wish it were an actual video of the entire song because it’s way too short. And you’re right, it does stir up a lot of emotions. For long-time fans especially, I think this one can get pretty poignant. Willa: Oh, it is so poignant – that’s the perfect word for it. You know, I’ve been thinking about “I’ll Be There” a lot lately, ever since Kris, Eleanor, and Nina posted comments about the connections to “Will You Be There.” I was so intrigued by that. In fact, we talked about it a little bit a few weeks ago – about “I’ll Be There,” “You Were There,” and “Will You Be There” – and I’ve been thinking about the I’ll Be There duet ever since. It’s so moving, and while it’s more subtle than “Childhood,” for example, it stirs up so many emotions. You know, I think what’s so captivating about this video is that we see the older Michael Jackson interacting with the younger Michael Jackson in ways that completely contradict the dominant narrative in the media. The pop psychology that many critics forced onto him in later years was that his older self literally embodied a rejection of his younger self: that as he grew older he rejected his race and his father and his whole family actually, and Motown and all his old friends and the people who helped him along he way, and his life as a child star, and that he even rejected his own body – that he rejected his face and his afro and the color of his skin. He rejected more and more and more until he became completely isolated and paranoid and living a Howard Hughes-type existence. Joie: Yes. That is the story that the media, and many critics it would seem, would like for us to believe. Joie: I couldn’t agree with you more, Willa. And I, for one, am so tired of hearing that Michael Jackson hated himself. I don’t believe that anyone so full of self-loathing could be so compassionate toward his fellow man. If anything I would think that someone who hated himself that much would have very little, if no regard at all for others. That argument just doesn’t make sense to me. Willa: Me either, and it doesn’t feel right either. When I listen to his songs or watch his videos, I simply don’t experience flashes of hatred or self-loathing. It’s just not there. But it’s true there are a lot of mixed emotions sometimes, especially about his childhood, and we can see some of that complexity in the I’ll Be There video duet – especially in how his older self relates to and responds to those images of his younger self. What strikes me most when watching this video is the strong emotional pull he still feels toward his younger self. There’s a lot of affection in this video for his younger self, I think, and sympathy as well, and I get the feeling he wishes he could protect him somehow. There’s a very melancholy mood in this video, and I wonder if he’s thinking about all the things his younger self had already been through and would have to face in the years ahead. Maybe that’s where that melancholia comes from, and what makes this such a bittersweet video to watch. Joie: Again, I agree with you completely. It does have a very bittersweet feel about it and you do get the sense that he is thinking about all of the things that young boy has already gone through as well as all of the challenges he’s going to have to face in the future. He knows the difficult obstacles that boy is going to have to overcome and he knows how hard those times are going to be for him. Yet, at the same time, he still seems so hopeful in this clip. Willa: He really does, doesn’t he? And reassured when his younger self finally starts to sing. It’s like his older self can’t really get into the song until his younger self fully emerges and begins singing too. But once he’s there, the two join together in song and he – his older self and younger self both – seem so joyful and … complete, if that makes sense. That feeling that he can’t really express himself fully until his younger self joins him is so powerful to me, especially when I think of all the times he talked about the connections between childhood and creativity. It’s like he needs the presence of his younger self to be an artist – he isn’t complete as an artist without him. The fact that he felt his most creative when surrounded by children I think says a lot about how important that childlike wonder was to him. And, as you said, you can really feel that in the I’ll Be There commercial when he’s singing with his younger self. Willa: That’s such an important point, Joie. And you know, that makes me wonder if maybe there’s another way to interpret “I’ll Be There,” that beautiful song he sang as a child – not as a promise to a girlfriend or to us as an audience, but as a promise to himself. He will be there for himself. He will protect and preserve the childlike part of himself and stay true to himself, and he will always be there for himself. When his older self is sitting at the piano and senses the presence of his younger self, and then the two join together in song, it like he’s telling us he kept that promise: his younger self is still very present and alive in him, and expresses himself through him. Joie: Oh, wow. Willa, that was inspired. I never looked at it like that before and I actually got goosebumps just now! That makes so much sense. What a wonderful way to interpret that song. Willa: It is beautiful, isn’t it? I hadn’t looked at it that way before either until you quoted those wonderful lines about children and creativity. Hearing those words, “When I’m with them, the music comes to me as easily as breathing,” it suddenly struck me that we see that idea enacted in the video duet. He’s sitting at the piano singing in a quiet, hesitant way, and then the music “comes to him” at the precise moment a child appears. But in this case, that child is himself – his younger self. Joie: It is a beautiful thought, Willa. 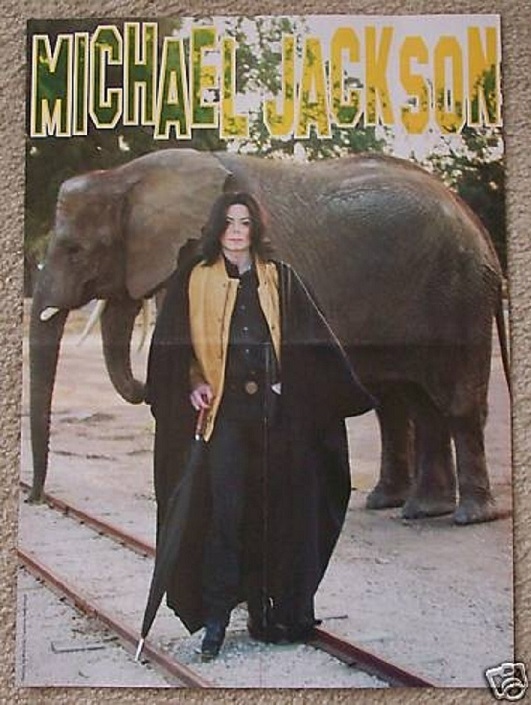 But, as is always the case with Michael Jackson, this wonderful little clip was not without its share of controversy. This was Michael’s final commercial for Pepsi. You know, they had enjoyed a great partnership for many years. Starting in 1983, they had a very lucrative and mutually beneficial association. But all that ended, of course, in 1993. This commercial was filmed in 1992 and it aired outside the US in 1993. It was actually never shown in the United States at all. But the controversy came about because it was reported by the New York Post that Michael insisted a White child portray his younger self in the commercial. Now, I have no idea if the child actor in this commercial was actually White or not because his face is never really shown up close so, it doesn’t matter anyway. The old footage of the Jackson 5 used during the commercial gets the point across whether the actor is White or Black. So, I never really understood what the big deal was here. Willa: Yeah, I really don’t know much about that either. My understanding is that they had an open audition for young dancers, and the best dancer was White – he really had the Jackson 5 moves down, apparently. And I can certainly see Michael Jackson “insisting” that the best dancer be hired, regardless of race – that’s perfectly in keeping with his beliefs and what we know about him. And I can certainly see how the New York Post would try to generate a controversy about that. That’s perfectly in keeping with what we know about them too. But as you say, none of that really registers when you watch the video, which is so heartfelt and beautiful. And it’s really moving listening to the lyrics as a conversation between his younger self and his older self. His older self sings, “I have faith in all you do,” and his younger self responds, “Just let me fill your heart with joy and laughter.” It’s perfect. And then they both make a pledge to one another: “I’ll be there.” Beautiful. Joie: It is beautiful, Willa. And honestly, I believe this was just a case of the media creating a controversy about Michael Jackson when there really was none. As you said, it was all about hiring the best dancer regardless of race because the actual race of the actor in the commercial is impossible to discern anyway. And the bottom line is that, it is such a sweet, heartfelt video clip that perfectly captures Michael Jackson’s heart and his spirit. And it is just such a joy to watch.